Our range of caravan batteries batteries includes low maintenance, low capacity models that are perfect for casual use to high power models designed for heavy duty applications. 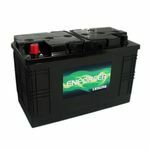 Whether you have a small caravan that you use for the odd weekend away, we can supply you with a battery that is perfect for you. High quality at low cost is our motto and we always strive to ensure that every customer gets what they need at the right price. For those who enjoy getting away from it all on a regular basis and do not like to be limited as far as where they can park up for the night is concerned, a powerful and reliable battery is an essential piece of equipment. We have a wide choice of Fuller, Powerstation, Exide and Odyssey products that are suitable for this type of application, all of which are on sale at very appealing prices. Designed to handle hundreds of charge-discharge cycles and still maintain a decent capacity, the best of these can provide you with years of trouble-free service. 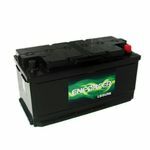 If you don't want to have to worry about running out of power at an inopportune moment, you can find the perfect caravan battery for your needs in our online store. 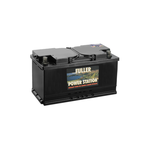 In addition to providing you with the power you need to enjoy your leisure activities to the full, the batteries that we stock are designed to provide low-maintenance solutions for both caravan and boat owners. Sealed units ensure a minimum of water loss and the robust construction of our boat and caravan batteries makes them ultra-reliable over time. If you are looking for a fit-it-and-forget-it-solution, we have what you need. Every unit comes with a full warranty covering manufacturing defects and faults, which starts when you make your purchase. For further information on any of the products in this category, or to ask any questions you may have about the services we provide, please feel free to call us on 01623 757377.